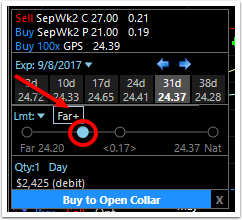 A collar is a stock/option combination created when a stock is purchased along with two options positions: a Covered Call and Married Put combination. 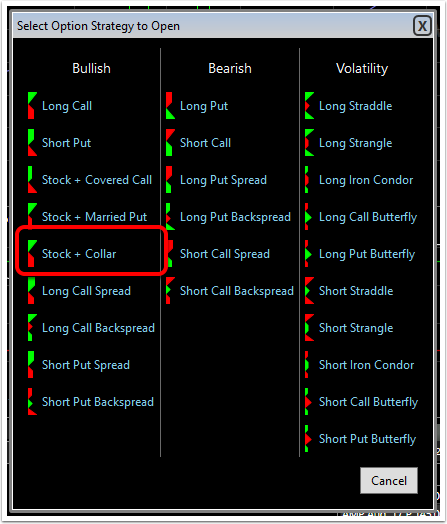 The collar limits both downside losses and upside gains through the expiration date. 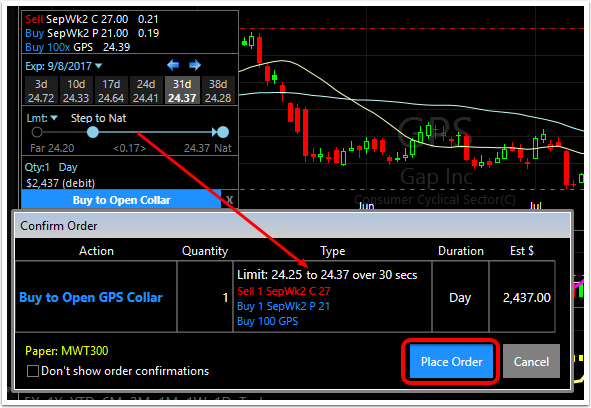 A collar can be initiated on an existing position or with a buy order on a stock. 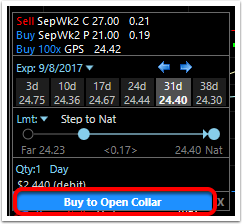 Here are the steps to buy a stock and collar at the same time. 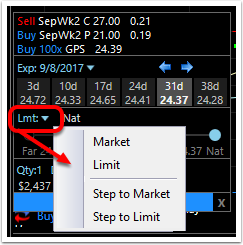 Click and drag the Limit line for both option positions between the available strike prices for the selected expiration date. These are represented by the hash marks at the left of the P&L Zones. Simply stop at the desired strike for the contract. 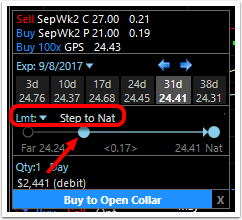 Another way to take advantage of the spread is the Step Limit order. 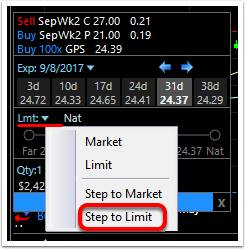 Choose the Step Limit order from the drop down menu. The shares of stock will be purchased simultaneous to the short call and long put. All will now appear on the chart. 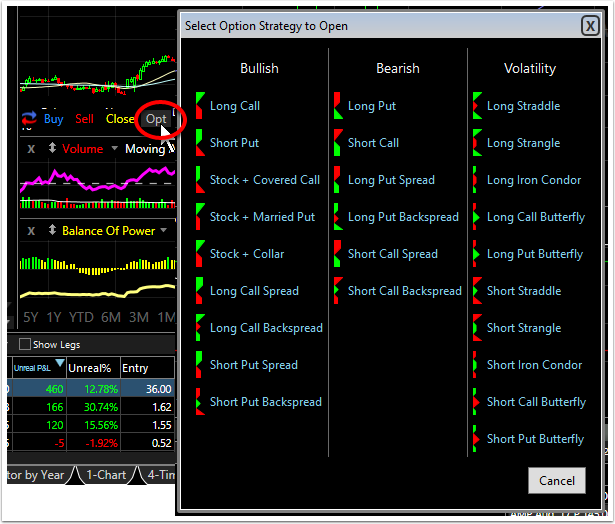 The P&L zones show the potential profit as it relates to the stock's current price. 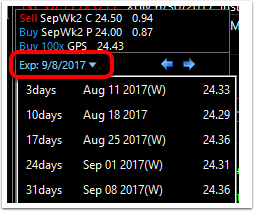 Through the expiration date, the upside gains and downside losses are limited to the stock price plus or minus the strike price plus and the net premiums. 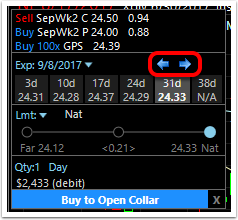 Should the options expire without being exercised, the stock position is retained.